Today is the feast of Wulfthryth of Wilton, also known as Wilfrida, a 10th-century abbess in Wiltshire. 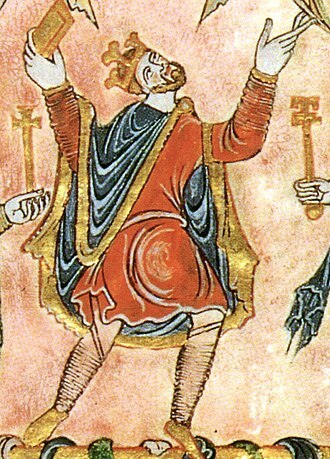 Wulfthryth is known to history through several sources, including the hagiography of the Secgan Manuscript, John of Worcester’s Chronicle, William of Malmesbury, Osburn’s life of Dunstan, the Life of St Wulfthryth found in The Wilton Chronicle, a royal charter of King Edgar to Wulfthryth, and the Vita Edithae by Goscelin. 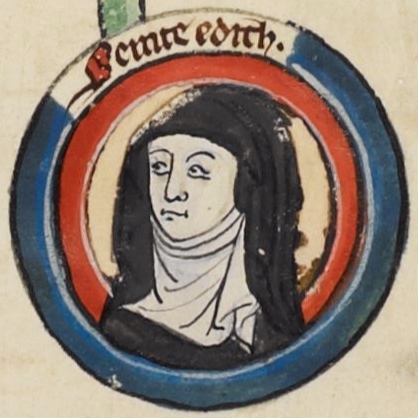 The medieval sources record her as living an exemplary life of sanctity and virtue and her virtues were often contrasted with the machinations of Edgar’s second (or third) wife, Ælfthryth. Wulfthryth was an English noblewoman, a cousin of Wulfhild, born about 937, whom king Edgar of England — http://www.bookofdaystales.com/edgar-the-peaceful/ — carried off from the nunnery at Wilton Abbey and took to his residence at Kemsing, near Sevenoaks. While in Kent, Wulfthryth gave birth to a daughter, Edith. After at least a year, Wulfthryth returned to Wilton Abbey, taking Edith with her. She later became head of the abbey and outlived her daughter. According to early monastic texts, under Saint Dunstan’s direction Edgar did penance for this crime by not wearing his crown for seven years. As part of his penance, Edgar gave Wilfrida/ Wulfthryth six estates in Wiltshire and the Isle of Wight which she passed on to Wilton Abbey in 965. Some form of bride abduction, often more simulated force than actual, by this time, may have existed as a vestige of earlier Anglo-Saxon tradition, and historians have alternatively referred to Wilfrida as Edgar’s concubine or his second wife, although never as a captive. Given the religious customs of the time, his penance was probably related to his violation of the sanctity of her religious vocation, rather than to any personal affront to Wilfrida. It is clear that the two had a continuing friendship long after her return to Wilton. In any event, Edgar seems to have acknowledged Edith as his daughter; the relationship may have been considered a marriage, despite the formal church sanction, as was the custom of the time, and if so Edith was a legitimate daughter. Wulfthryth continued to have considerable influence upon Edgar after her return to Wilton. She was able to stop bailiffs from arresting a thief who had taken sanctuary in the Abbey and was able to secure the release of two Wilton priests who had been imprisoned by the reeve of Wilton. 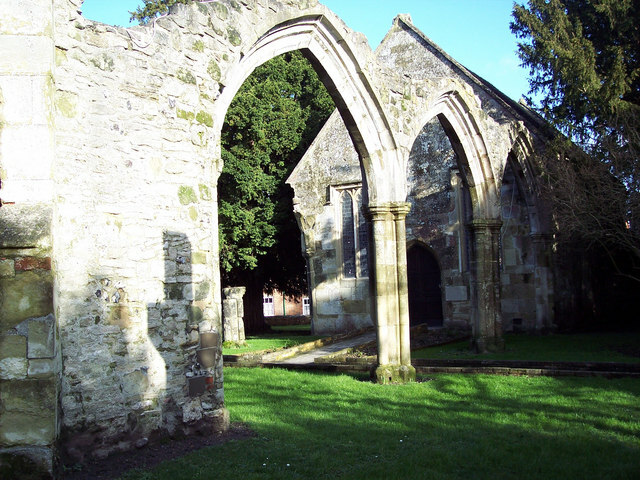 As abbess of Wilton, she built a stone wall around the abbey and also used her wealth to build up the abbey’s collection of relics. Goscelin calls her the “hidden treasure and light” of the abbey, and she was held in high esteem during her life. She is credited with the usual cascade of miracles during her lifetime, and was well known for her alms giving. Both Wulfthryth and her daughter Edith were regarded as saints soon after their lifetimes. Wulfthryth died at Wilton abbey on 21st September, probably in the year 1000, and was buried before the main altar of the Wilton Abbey church. I am not sure why her feast is today, since it is conventional to celebrate saints on the day of their deaths. As I have mentioned numerous times before, Anglo-Saxon recipes are hard to find, and I have done my best in the past to give what is known. Instead I will give a more modern (19th century) Wiltshire recipe, which is suitable authentic although I have not tested it. I do like steamed puddings, however. The proportions are a bit inexact, but not impossible to follow. I’ve tidied things up a bit. 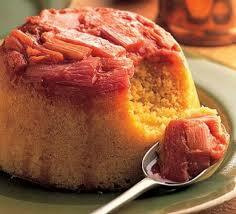 The recipe calls for “fruit” but the more modern interpretation uses gooseberries or cut rhubarb. You can also use peeled and chopped apples. Mix the flour, sugar, and a pinch of salt in a bowl. Rub in the lard so that the mix resembles coarse sand. Stir in your fruit of choice. Mix with a sufficient quantity of milk and water to make a stiff mixture. Grease a pudding basin and line it with greaseproof paper. Put the pudding mix in the basin, cover with greaseproof paper (tied down to cover the top), and steam for about 3 hours. Turn out on to a serving dish, and serve with egg custard.